For starters, you'll get technology upgrades faster and you won't have to worry about battery issues that come with an aging EV. Leasing, rather than buying a car, isn’t for everyone. But it’s the smart choice if you’re thinking about getting an electric car. For these ever-evolving vehicles, leasing is an especially well-suited way to finance one. 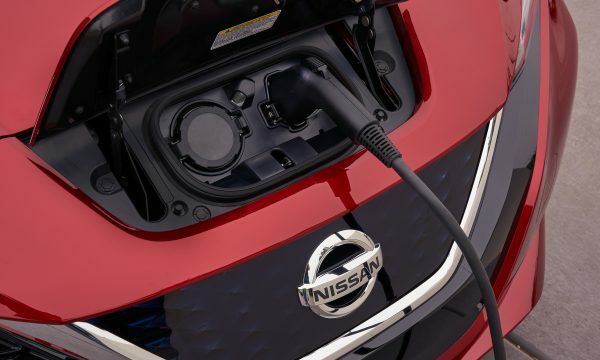 Here are five reasons experts say leasing your EV is the best way to roll. Year-to-year changes in conventional cars are often minimal. “But the technology going into EVs is at a rate I’ve never seen before,” says Scot Hall, executive vice president of operations for Swapalease, which matches leaseholders with car shoppers looking to take over a lease. By leasing, you can upgrade to a new car every two to three years, and enjoy advances in battery durability, range and other improvements. For an example, Hall points to the first relatively affordable electric car, the Nissan Leaf. When it hit the market in 2010, its battery had an EPA-estimated range of 73 miles. Only seven years later, Chevrolet introduced the Bolt EV with an EPA range of 238 miles. Additionally, charging times are faster and new features are available, such as the ProPilot Assist package in the 2018 Nissan Leaf, which sports semiautonomous driving capabilities. If you bought an electric car and decided to sell it even a year later, its value would have depreciated dramatically — “like a used bedsheet,” as one commenter wrote on car sale site Autotrader. In fact, on average, 2016 electric vehicles have depreciated about 52% from the sticker price in the first year, according to data from Edmunds. Normally, cars that lose value quickly aren’t good candidates for leasing, since the lease payment is based on the amount the car depreciates, plus fees. The greater the depreciation, the more expensive the monthly lease payment usually is. Interestingly, the steep depreciation makes EVs a bargain on the used car market. Since the lithium ion batteries that power EVs are relatively new, there isn’t a lot of data on how long they last and how quickly they’ll stop holding a full charge. “The questions are how much degradation, how fast and what is covered under the warranty,” writes Fred Lambert, editor-in-chief of electric transportation blog Electrek. He notes that GM’s owner’s manual for the Chevy Bolt EV warns of potential battery degradation of up to 40% during the eight-year warranty, or within 100,000 miles. However, if you lease an EV for just three years with the typically included 36,000 miles, battery degradation should be minimal. Electric cars are incentive magnets. Federal and state governments seem to want to reward EV owners to support clean energy. For example, if you live in California and lease an eligible EV, you can get a $2,500 cash rebate, and you can get up to two rebates (on separate leases) for a total of $5,000 back. In many cases, carmakers also offer leasing specials like cash bonuses to reduce the price of an electric car so the lease payment is more affordable. For example, Nissan recently offered a $9,275 cash rebate to those leasing the 2018 Leaf. Hall says that for every $1,000 in cash rebates, it reduces the monthly lease payment by about $30. Carmakers also offer both loyalty and conquest bonuses to try to retain customers or lure shoppers away from the competition. According to Hall, these bonuses are higher for leasing an EV than for conventional cars. This means, as you approach the end of your lease, you’re in a strong negotiating position — with even more options than you would have with a different vehicle. You can jump to a competitor or stay with your current brand and be rewarded.